We believe mental health care should be available to anyone on any income level because we all do and will fall. Everyone of us needs kindness, understanding and hope for the future. Counseling fosters healing for the purpose of emotional wellness. It can help you process your emotions, manage personal conflict or uncover underlying root causes of dysfunctional behavior and emotional distress. Ultimately, wellness enables a person to be loved and to love others. As clients gain a deeper understanding of the factors in their life which influenced their life and behavior and learn tools to make better decisions, they can impact their life positively. 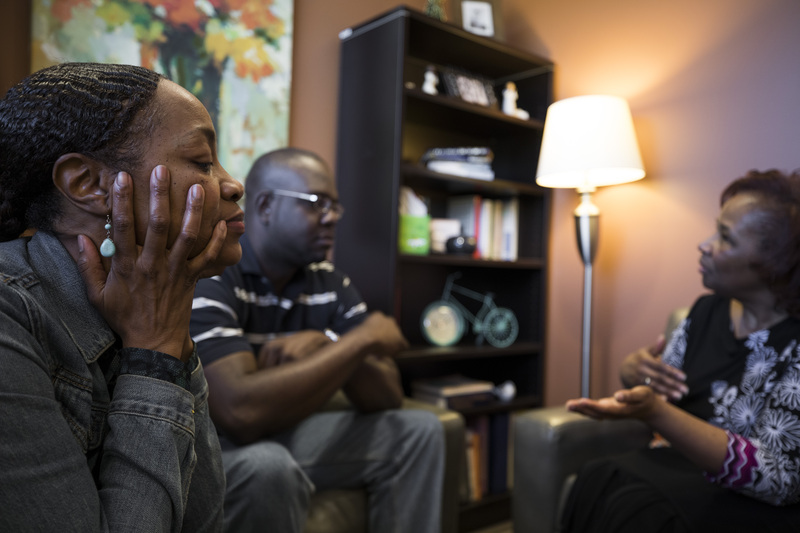 During the emotional healing process clients often experience clarity, learn new perspectives, lessen the disturbance of past traumas, incorporate effective coping strategies, unveil personal strengths, enhance interpersonal relationships and experience wholeness. Click here for our counseling brochure. At HopeNet, we understand that each person is masterpiece. Like all masterpieces each person is unique and has strengths, weaknesses, joys and trials that are distinctly theirs. We reject simple answers to complicated issues. 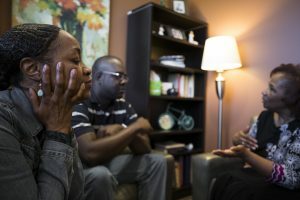 We look at each person in relation to their whole person and work with them to integrate and connect that person with themselves, their families and their communities. HopeNet is a faith based, privately funded nonprofit organization committed to treating all people with respect and dignity. Reduced rates are available based on income level ranging from $15-$100 per session. HopeNet donations and other program income make reduced rates possible for those who otherwise could not afford to get help. Call for a free initial appointment to see if Counseling services are for you. HopeNet clinicians are licensed by the state of Kansas as Marriage Family Therapists, Clinical Social Workers or Professional Counselors. The HopeNet clinical team is professional and compassionate. 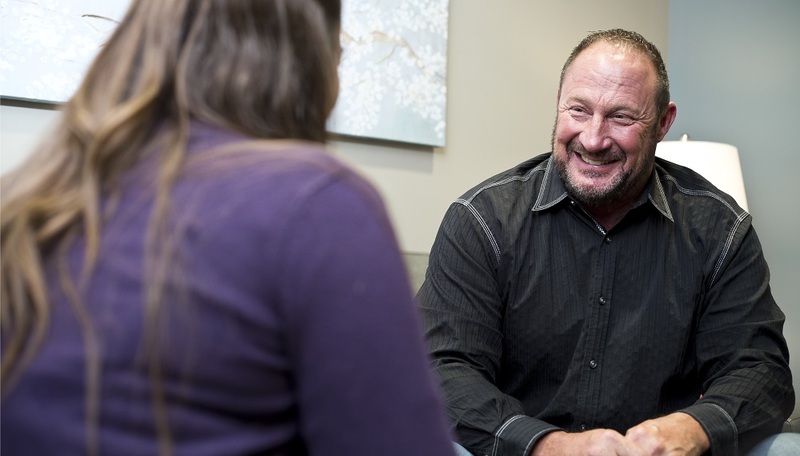 Our clinicians are trauma informed, highly skilled and professionally trained to integrate a variety of evidence based behavioral tools and strategies. Our compassion is an extension of our Christian faith illustrating God’s love as an extension of hope in the bleakest circumstance. HopeNet Counseling services are confidential and comprehensive. The environment at HopeNet is loving and safe. The therapeutic relationship is confidential and trustworthy which builds a secure foundation to explore options for healing and facilitate lasting change. Comprehensive services include a multidisciplinary team approach. HopeNet’s networked partners extend additional support and collaboration as needed. Personal change requires commitment, time and hard work. HopeNet is here to come alongside to help you heal emotionally and experience life more fully. We have all our counseling clients fill out some initial paperwork. You can download now and fill out before your appointment. We also provide the forms at your initial appointment.